Windy. Cloudy skies will become partly cloudy this afternoon. Slight chance of a rain shower. High 71F. Winds WSW at 20 to 30 mph.. Partly cloudy skies this evening will give way to occasional showers overnight. Low 43F. Winds W at 15 to 25 mph. Chance of rain 60%. Winds could occasionally gust over 40 mph. 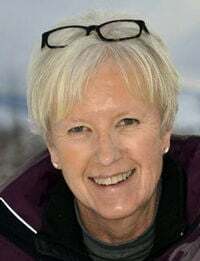 Renee Dawn Halseth-Allen, 72, peacefully passed early Saturday morning, December 22, 2018 in Bozeman, MT. Renee was born on December 18, 1946 to Alvin and Frances (Trane) Aarness in Pelican Rapids, MN. She attended elementary school at a country school near her home and graduated from Pelican High School in 1964. She attended Moorhead State and later graduated from Interstate Business College in Fargo, ND. After graduation, she worked at Fargo Foundry. She married Gerald D Halseth in Las Vegas and eventually settled in Great Falls, MT. She, along with her husband Jerry, opened a retail furniture store, Nature’s Cradle, in Great Falls in 1976 and opened a second location in Helena, MT two years later in 1978. They were happily married until Jerry passed away on April 18, 1991. After his passing, she continued on raising their children and running the store on her own. Despite the challenges of that difficult time, she continued on with strength and grace until another amazing man walked into her life. She married Terrance Lloyd Allen on July 20, 1996 in Coeur D’Alene, ID. They bought a beautiful little ranch outside of Sun River, MT, where they resided until 2016. They made many memories and shared many adventures together with family and friends. Renee continued to run the store until she retired in 2008. In 2016 as her Parkinson’s progressed, they made the tough decision to leave their beautiful ranch and move to Bozeman, MT to be closer to her kids and give her the best final years that she so ever deserved. Renee had a deep love and devotion for her family and friends and cherished many gatherings and quality time with them all. She had an adventurous spirit and was always up for anything. She enjoyed many activities including hunting, fishing, horseback riding, hiking and camping. Music was a big part of her life and she loved to dance. She shared a love for dancing with her husband, Terry. They lit up many dance floors over the years, drawing many crowds. She also enjoyed playing piano and singing. She was actively involved with the church choir at Our Saviors Lutheran Church for several years. People were drawn to Renee’s big heart, her vibrant spirit and her quick wit. She lit up the room her laugh and infectious smile. In the 32 years she owned and ran Nature’s Cradle, she met many customers that became life-long friends and would return just to visit her. She faced challenges with a positive attitude, resilience, and a sense of humor. She will be greatly missed by all that knew and loved her. She is survived by her husband Terrance L Allen of Bozeman, MT; daughters, Kristen (Todd) Williamson of Bozeman, MT, Lisa (Dan) O’Meara of Bozeman, MT; son, Jason Halseth of Bozeman, MT; stepdaughters Ginni (Tim) Webb of Albuquerque, NM, and Tammy Allen of Seattle, WA; stepsons, Jeffrey (Diane) Halseth of Fifty Lakes, MN, Jerry (Marilyn) Halseth of Plymouth, MN, Scott (Lisa) Halseth of Glyndon, MN; Brett (Kacie) Allen of Great Falls, MT, Darin (Kelsey) Allen of Lewistown, MT; 24 grandchildren and 14 great-grandchildren. She was preceded in death by her husband Gerald Halseth, her parents Alvin and Frances Aarness and her brother Verlin Aarness. Services will be held at Dokken-Nelson Sunset Chapel, 113 S. Willson, Bozeman, MT on January 5th at 11:00 a.m. and a reception will follow at The 1915 Barn on 4062 Johnson Road, Bozeman, MT at 4:00 p.m.